At TemperaturePro®, we believe our job isn’t done unless our customers are totally comfortable with the air in their homes. Temperature control is a big part of comfort, of course, but that’s not all we do. We provide a range of products and services aimed at improving the quality of air in your home. Reducing indoor air pollution is especially vital for children, people with asthma or respiratory allergies, but it’s important for everyone. Whether you’re in the market for a new air quality system or your existing system fails to provide you with what you need, just let us know. We can make sure that your humidifier, dehumidifier, energy recovery ventilator, or ultraviolet light is installed and serviced correctly from day one. Over the past several decades, the HVAC industry has created a broad range of air quality solutions. 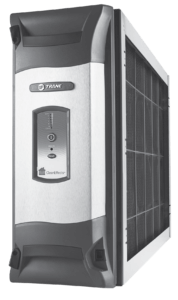 TemperaturePro can help you determine the type of air quality system that is right for you. It can be a daunting task withouta professional to help you navigate the various products on the market to make sure that you are making the right selection. TemperaturePro offers a wide variety of indoor air quality systems for installation, and our trained specialists will work with you to select the best system that is right for your home. Let us help you find the best solution. Whether you’re in the market for a new indoor air quality system or need to upgrade your existing system with more modern equipment, we are here to help you. We can make sure that your air purifier, humidifier, dehumidifier, and energy recovery ventilator is installed and serviced correctly from the get-go.Here are some of the most popular air purification systems we install. Our indoor air quality experts will gladly work with you to find the right IAQ solutions for your home and budget. Air cleaners and air purifiers are your frontal assault on indoor air pollution as they integrate directly into the ductwork system and can remove dust, pollen, pet dander, mold spores, dust mite feces, second-hand smoke and other contaminants directly from the air. 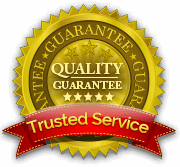 As experienced installers of all home heating, cooling and ventilation systems, we service repair, maintain and install air cleaners and purifiers and we back our services up with our workmanship quality guarantee and labor warranty. During the winter months, the warm air inside the home becomes drier as the heating equipment dries it up. Overly dry air can have a significant impact on health and property. Impact on health includes dry skin, dry nasal passages, sore throat, aggravating the symptoms of colds, allergies, and asthma. In fact, many viruses thrive under low humidity levels and accordingly the likelihood of catching colds, flu, and upper respiratory infections significantly increases under these conditions. Impact on property includes chipped paint and plaster, cracked and warped wood floors, trim, molding, and furniture as moisture is drained from the underlying wood. This kind of damage is permeant and is irreversible. These critical health and property issues can be greatly reduced or eliminated by installing a whole home humidifier, which will deliver the proper amount of moisture into your home’s air. Besides improving the quality of the air that you and your family breath, protecting your home and valuable belongings, humidification also saves you energy. This is because humidified air makes you feel warmer at lower temperatures. According to the Department of Energy and the Environmental Protection Agency, you can save up to 3% on your heating bill for every degree you lower your thermostat. Whole-house humidifiers not only make your home more comfortable but also reduce your energy usage and save you money. As experienced installers of all home heating, cooling and ventilation systems, we service repair, maintain and install whole home humidifiers and we back our services up with our workmanship quality guarantee and labor warranty. Humidity is a problem for many homes in New Jersey. As summer months set in, the temperatures get hot and the air conditioners cannot adequately control the humidity level in the air. High humidity is not just about comfort as fungi, mold and dust mites thrive under high humidity levels. Moreover, high humidity could cause wood frames and joints to swell resulting in warped framing of your home. Under relatively high humidity conditions, one will experience clammy skin, wet and sticky surfaces, musty odors, and even moist and moldy attics, crawlspaces and basements. Studies have shown that the optimum relative humidity level, where nasty creatures cannot grow and thrive, is between 40% to 50%. This is a relatively narrow window and is difficult to control without the use of humidifiers and dehumidifiers. A dehumidifier makes it possible to effectively remove excess humidity from your indoor air and keep it out so that you and your family can be comfortable and healthy. 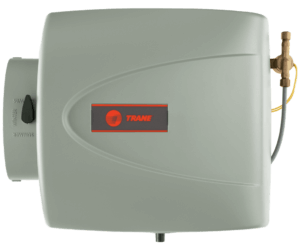 We also offer basement dehumidifiers as they are independent of the central air conditioning system and are standalone dehumidifiers used within storage spaces, basements or entertainment areas. Our team of highly trained and qualified technicians will guide you through every step of choosing the right dehumidifier for your home. As experienced installers of all home heating, cooling and ventilation systems, we service repair, maintain and install whole home dehumidifiers and we back our services up with our workmanship quality guarantee and labor warranty. These devices exchange stale indoor air with fresh outdoor air without sacrificing cooling power. It’s like opening a window to let fresh air in but without increasing your energy bill. 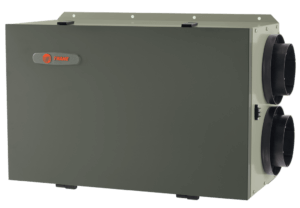 An ERV is a great solution to improve indoor air quality and exchange indoor stale air with fresh outdoor air without compromising heating or cooling costs. As today’s homes are tightly sealed and are built to higher efficiency standards, it becomes very difficult to keep them sufficiently ventilated. A practical solution that maintains efficiency while improving indoor air quality is an ERV. An ERV is simply a mechanized ventilation device that is installed as part of the HVAC system. In essence, an ERV is a mixer that brings in fresh air from outside (unconditioned) and mixes it with stale air from the inside (conditioned) and then dumps it back into the home. This way the fresh air being introduced is already conditioned and there is no wasted energy to condition it. Our team of highly trained and qualified technicians will guide you through every step of choosing the right Energy Recovery Ventilator for your home. 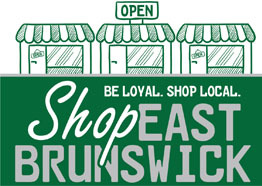 As experienced installers of all home heating, cooling and ventilation systems, we service repair, maintain and install ERV’s and we back our services up with our workmanship quality guarantee and labor warranty. 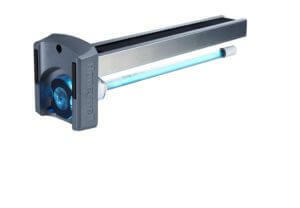 This technology uses ultraviolet light to destroy germs and other contaminants in the air. It is installed within the duct system and works by using ultraviolet light to inhibit the surface growth of mold spores and certain bacteria by as much as 99 percent. This same type of light has been a tried and true air cleaning solution in hospitals, restaurants and other places where clean air is important. Our team of highly trained and qualified technicians will guide you through every step of choosing the right UV Light for your home. As experienced installers of all home heating, cooling and ventilation systems, we service repair, maintain and install UV Lights and we back our services up with our workmanship quality guarantee and labor warranty.